The speakers discussed the ruling of the Court, how the Court should have ruled, the public’s response to the ruling and what obstacles to full property rights we still face today. Perhaps the most disheartening topic discussed was what has happened to the property since the Court’s decision. First some quick background on the case. The city of New London, Connecticut, created an economic development plan to please a corporate resident, Pfizer. As part of this economic development plan, the city used its power of eminent domain to take a total of 15 private homes. The land taken through eminent domain would then be turned over to a private developer through a low-cost, long-term lease. One of the properties taken was the home of Susette Kelo, the named party in the case. This was the first piece of property Susette had ever owned in her life. She was very proud that was she was a homeowner. However, within one year of acquiring the home, she was told to either sell her land or it would be taken by the government through eminent domain. Wilhelmina Dery also had her home taken as part of the economic development plan. Wilhelmina had a close connection with her home, she was born there in 1918 and had never lived anywhere else. In addition, her son and his family lived right next door. Both of these women had their homes, not to mention their hopes and memories, taken by the government to please a corporate occupant. Today, instead of housing 15 families, the lots are empty except for a clowder of feral cats. Pfizer, the company the city was hoping to please by taking the properties, closed its facility in 2010. The vacant lot where the homes of Susette Kelo and Wilhelmina Dery once stood. So what does New London have to show for all of their planning? There is talk of creating a memorial to those that lost their homes, but that is not exactly the economic development they had planned. Other than that, the city has become infamous for taking its citizens’ property to transfer it to another private party, and failing in their plans miserably. Although this whole episode is sad, it is to be expected. Central planning does not work and leaves people worse off than before. This can be seen in the fall of the Soviet Union and the difference in the economies between North Korea and South Korea. As the Kelo anniversary nears, it is important to remember that it was not just a poor Supreme Court decision. 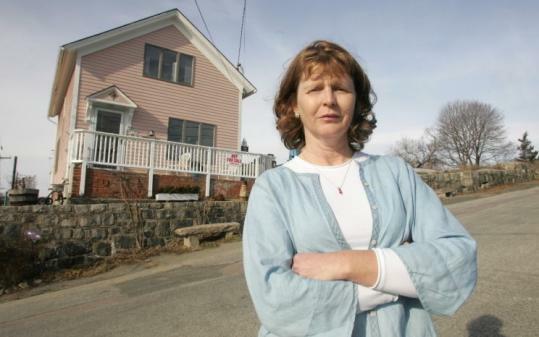 The city’s use of eminent domain also disrupted the lives of innocent homeowners. It is also a reminder that government planning does not work and because of this markets are best left free.